Every year at the begining of spring when the azaleas bloom, the Yi people of Guizhou, China celebrate an Azalea Festival in the Baili Azalea Nature Reserve. Azaleas are a type of rhododedron and grow as shrubs and small trees with large flowers ranging in colour from purple and pink to yellow and red. This nature reserve is the largest natural azaela zone in the world (home to 41 different kinds of azaleas!) and the only national azalea forest park. The ceremony began at noon (the most auspicious time of day) in honour of the Azalea Goddess and the bimo (shaman-priest) recited traditional prayers to begin the celebrations. The congregation then burned incense, set off fireworks, and played music. 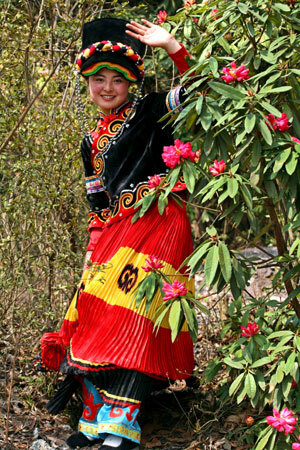 “Azaleas are a symbol of beauty and good luck for the Yi people. Every year we hold the ceremony to worship the azaleas and to pray for a good harvest,” says Huang Kai, a participant in this year’s festival. 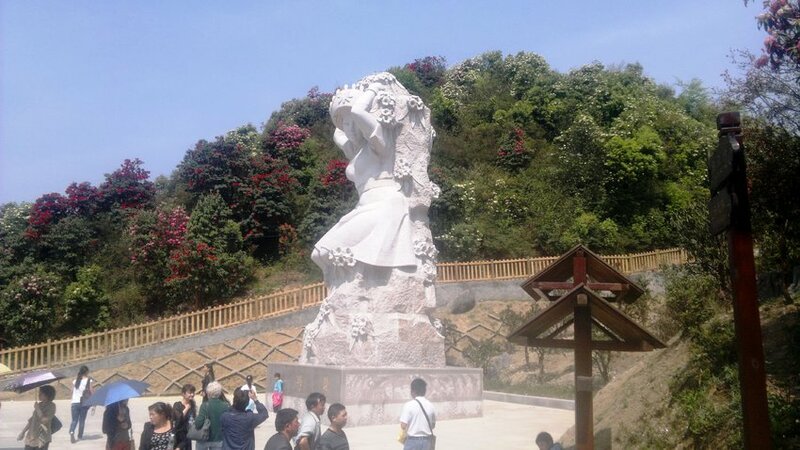 The azalea is popular not only amongst the Yi people but also throughout China, where it is known as the “thinking of home bush” (杜鹃), as well as a symbol of femininity and thoughtfulness. The azalea is one of China’s most beloved flowers, but it also has significance in flower symbology in the West. The English name for azalea is dervied from the Greek root word “azaleos”, meaning dry. It symbolises temperance and the fragile passion of first love. It is also given as a way of saying “take care of yourself for me”. Azaleas are also associated with the Janya Sai Mati (in non-Filianic astrological terms, Mercury), who represents Divine Light and Intelligence. 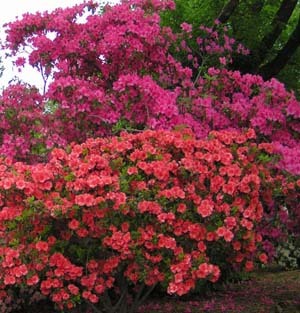 However beautiful they may be, azaleas are highly toxic as they contain andromedotoxins in their leaves and nectar. They were at one time so infamous for their toxicity that to receieve a bouquet of azaleas in a black vase was a well-known death threat! I am only beginning to learn about flower language so if there is anything I forgot to add about azaelas in flower language and symbolism, or even about the Azaela Festival of the Yi people, please leave a comment below!